Here's the current designed panel layout. Here's the basic instrument panel blank mostly cut out and being fit into the fuselage. 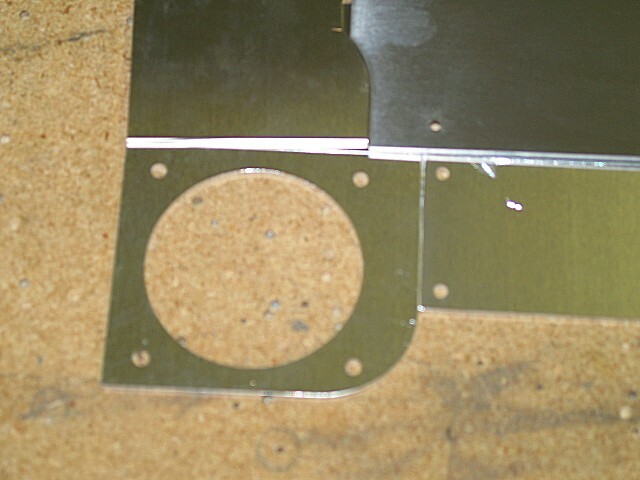 The cuts still need to be refined and other mounting supports added. More to come! Well, after thinking through my current setup. 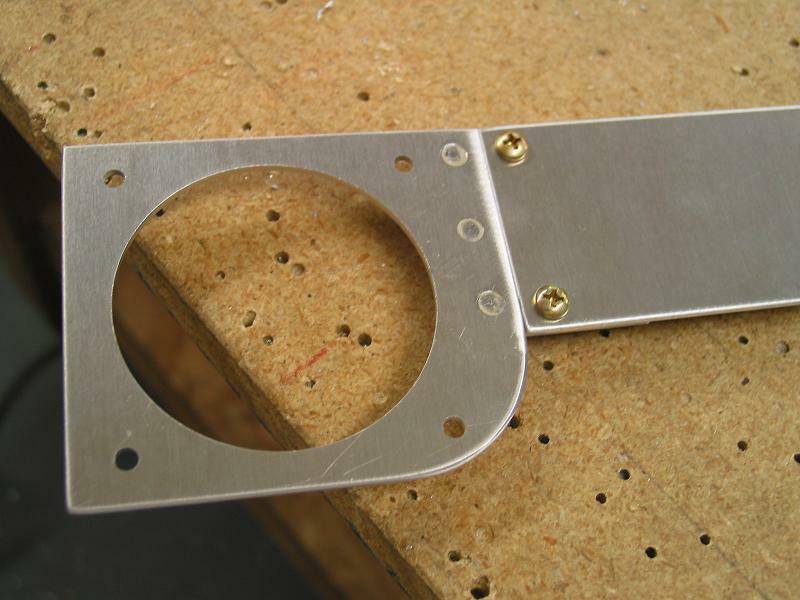 Not to mention the fact that I made a few mistakes during the cutting of the stock panel... and lastly the new option of a cool new panel technology coming on the market. 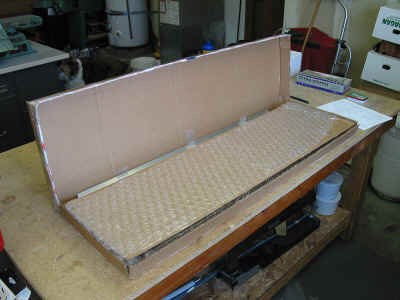 I have decided to replace the stock panel as seen above with a new panel from Affordable Panels. 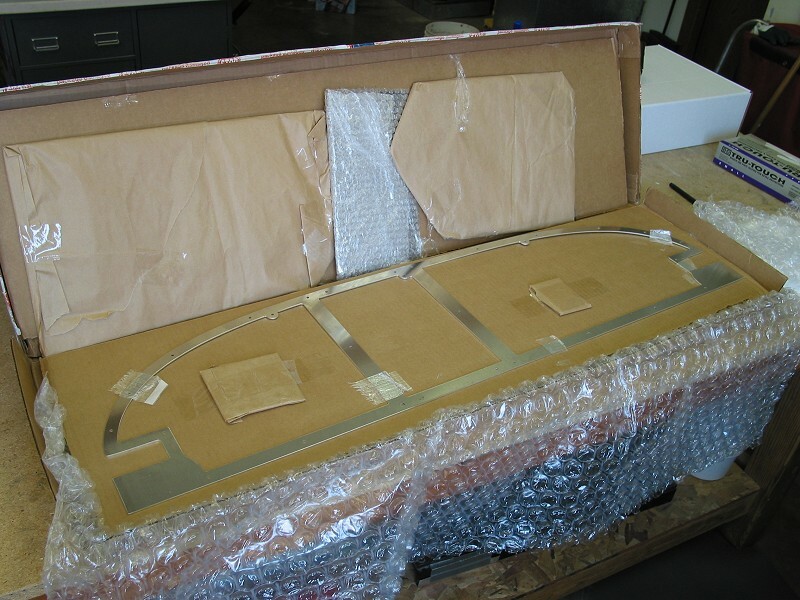 This is a cool setup with a sub frame that matches the existing structure. 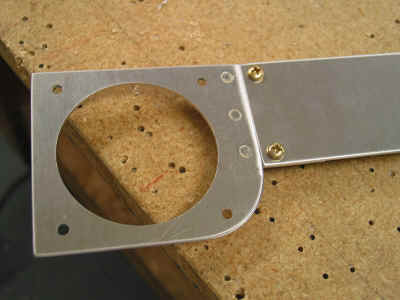 Then the actual panel bolts onto the sub frame in 3 sections. 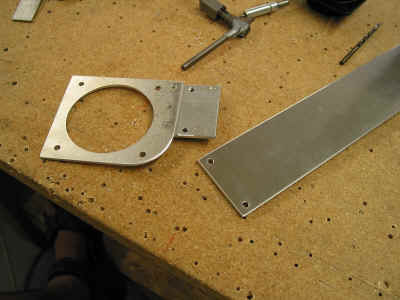 This allows the panel to be selectively removed for access to the instruments behind. This is going to make future upgrades and maintenance a breeze! The other really neat feature is that the panel will have an additional switch mounting location below the main panel sections. Have the switch sub panel will allow the panel to come out easily and leave the switches permanently wired into the structure. All this and a cool computer cut sub frame and panel sections. Check back soon for more updates and pictures of the new panel installation. The New Panel is here! Well here's the new panel from Affordable Panels. It came very quickly. 2 days I think. Was packaged nicely and securely and arrived without any damage at all. 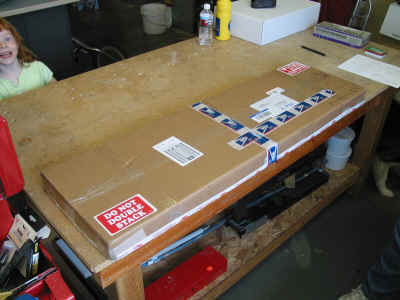 Upon opening the box you know you have a precision part in your hands. This thing is finished very nicely and will only require basic deburring before priming. The included hardware is pictured at the left. 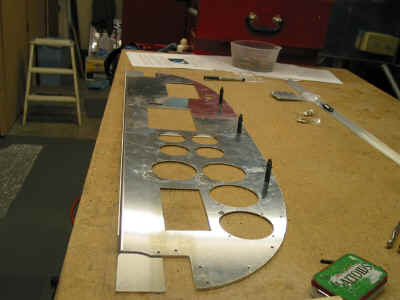 5/32 rivets! WOW those are big. 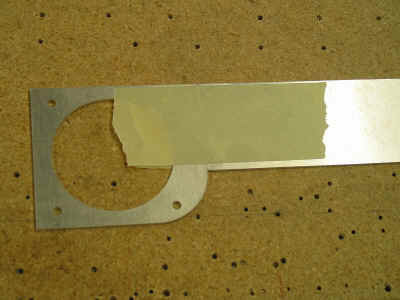 They replace the nutplates and screws of the original panel attach to the skin stiffeners. A very nice touch is the inclusion of 4 large size 5/32 cleco's. 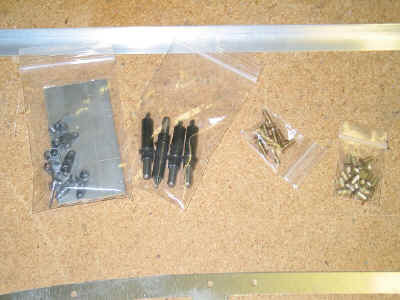 I didn't have any of these and they sure make working with #8 screw holes nice! Here is my favorite method of locating & drilling platenuts to the holes. 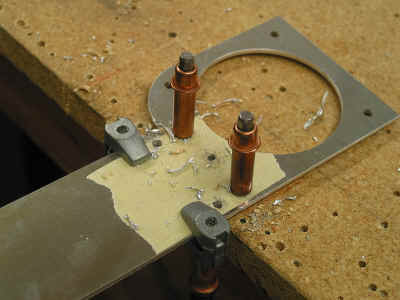 Take a platenut (either standard or these single leg ones) and take a 8-32 tap through them. Once they are opened up a bit you can put a #8 screw through them backwards. 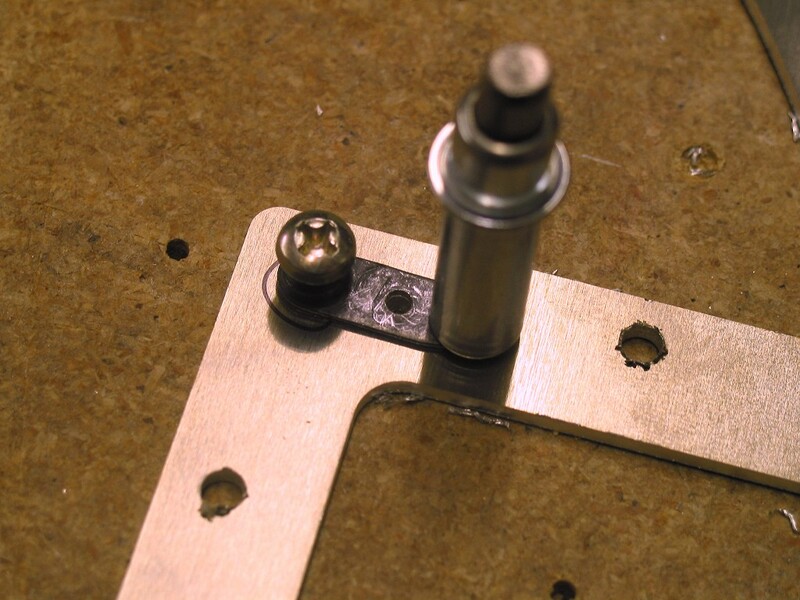 Then using the #19 holes that you drilled through the part and the table slip the end of the screw into the hole and drill the mounting holes into the frame. This has worked great all over the plane thus far and didn't cost anything! Above you can see some of the vent and switch panel parts as they are fabricated and mounted together. 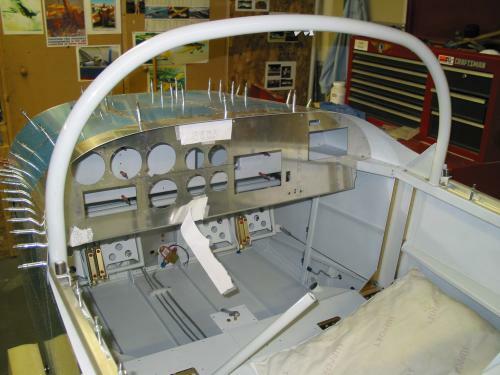 At right is the main sub-frame being installed in the fuselage. It fit perfectly where the stock Vans panel used to be. Below you can see the new support bracket riveted to the sidewalls to support the air vents in their new location next to the switch panel. Nothing fancy here, just using a fly cutter to mash out the circles for the instruments to mount in. I got a basic stamped out steel template from the tool vendors to drill the instrument mounting screw holes. It worked great. One of the really cool things about the modular panel is that you always have 1 or more straight sides to align everything off of. I used the square extensively to always make sure that what ever hole or location I was working with was square to the panel blank. 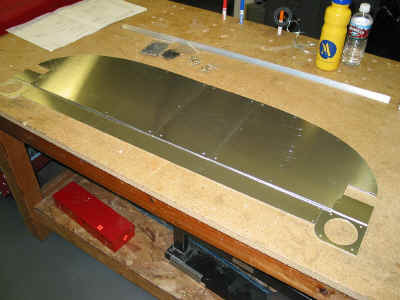 Here is the finished main sub panel with all supports riveted on and installed. The radio trays are set in right now and read to be drilled and bolted in place. 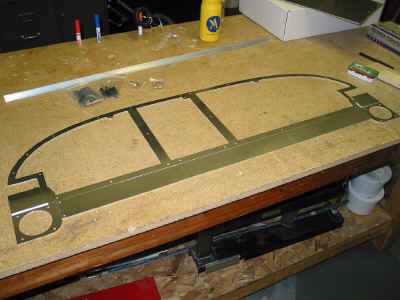 The sub panel cutout from the previous panel installation worked out perfectly and everything slid in to place nicely.